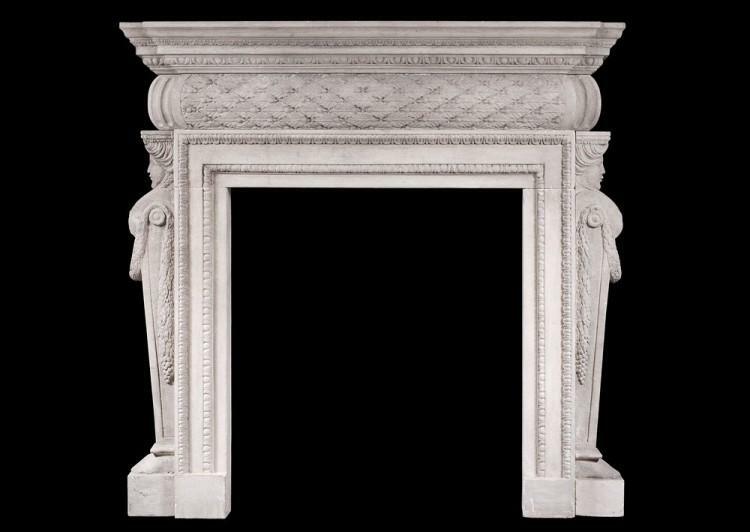 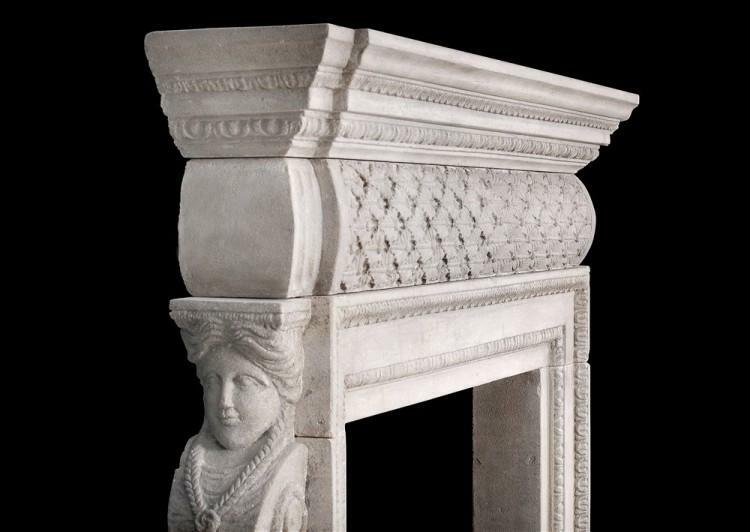 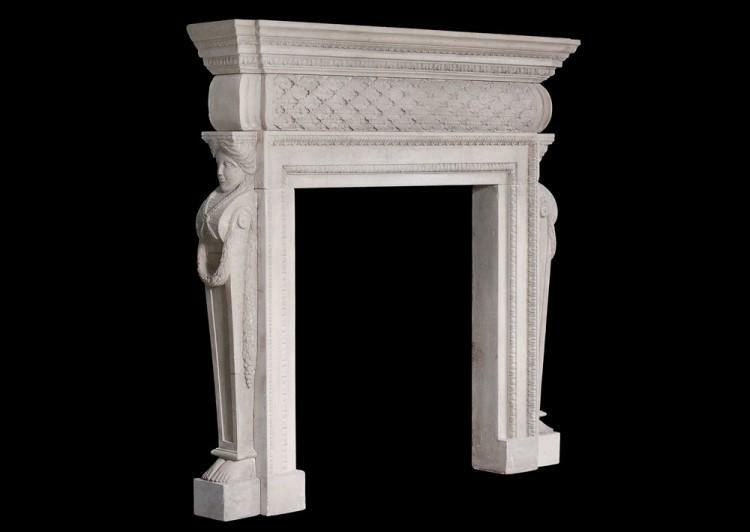 A 19th century English stone, Georgian style fireplace. 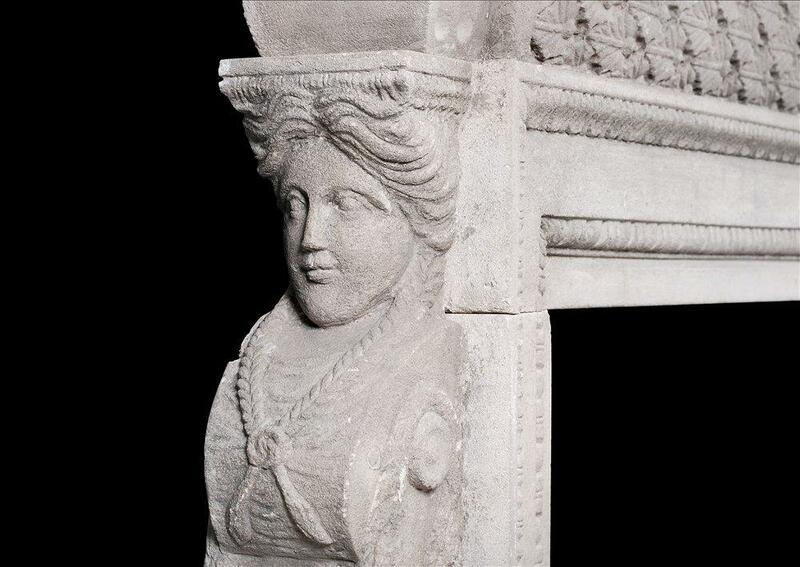 The barrel frieze with carved laurel leaves and berries, supported by side facing caryatids with flowing garlands. 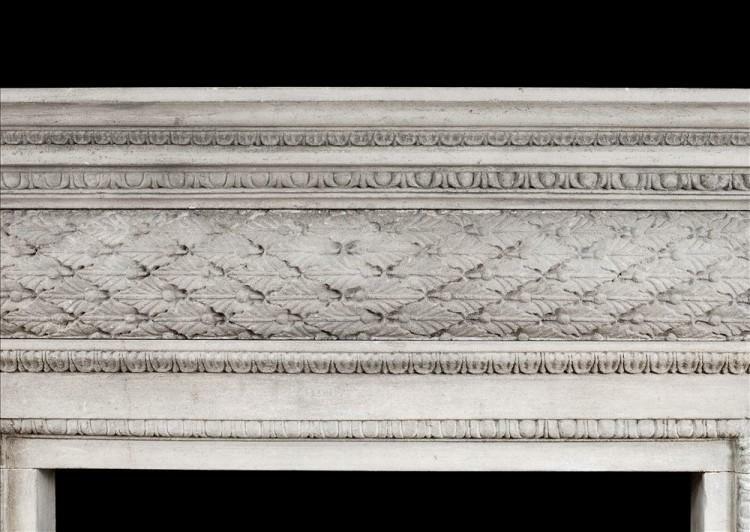 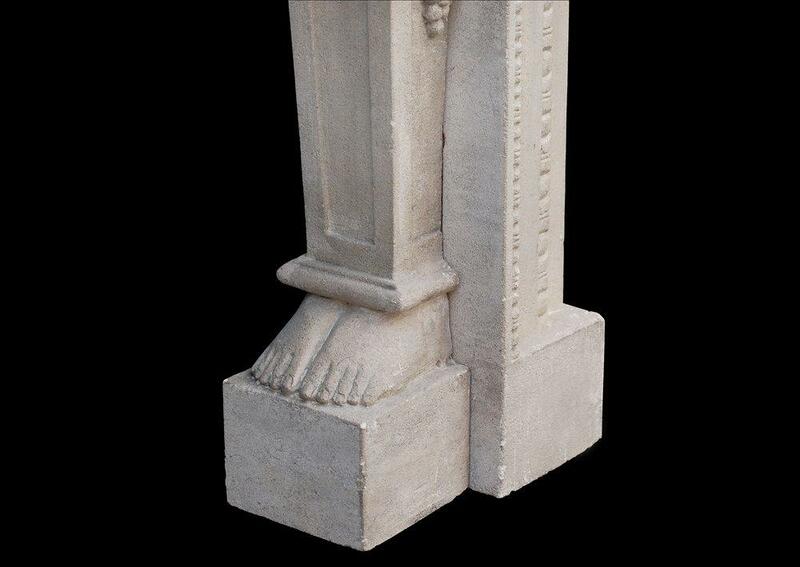 The moulded jambs with acanthus mouldings, and the shelf with leaf and egg and dart detailings. Small scale for such a design.